AED 528.75 including 10 AED shipping. With technology changing so fast these days, it seems like new electronics are being introduced every day and we just can’t keep up with them. It would be impossible to have every new device and follow the latest trends all the time so you need to be picky and choosy about which ones to purchase, especially since the prices can be steep. 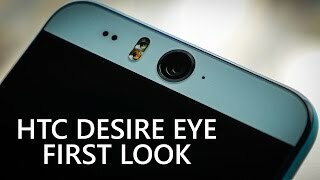 One of the up and coming phones that should definitely be on everyone’s watch list is HTC’s new device, called the Desire Eye. Its release may be approaching but we aren’t sure when and where it will be available. One of its standout features we expect is a 13 megapixel “selfie” camera. Before now, most front cameras were low quality and only turned out fuzzy, blurry photos that aren’t worth anything. Now, you can have quality photos with either your rear or front camera with an upper mid-range Andorid device that packs every bit of available technology possible. Both the front and rear camera are 13 megapixel and have flashes to help light photos in dimly lit situations such as night clubs and evenings outdoors. Although the camera features are quite impressive and the standout quality of the phone, it is quite a powerhouse that is packed full of other abilities to be enjoyed. Rumor has it that it will feature a 5.2” 1080p display with the speedy 2.3 GHz quad-core Snapdragon 801 processor, 2 GB of RAM and 32 GB of internal storage. None of this is confirmed and we don’t even have an expected date for the Desire Eye Dubai release date yet but hopefully in the near future, more will be released. If it is true that these will be the specs of the device, you will be insured multi-tasking will come with ease, lagging and freezing during games and downloads will never happen and the ultimate smartphone experience will always come with ease. 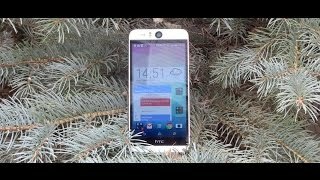 The hardware of the upcoming HTC Desire Eye rivals that of the HTC One M8 and is clearly going to be one of the top Android phones available. 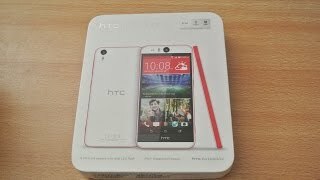 With all the rumors flying with new HTC devices, it’s hard to determine whether or not there is a difference between the One M8, the HTC Eye and the Desire Eye but due to leaked images of the different devices, there are minor design differences between the devices. This leads us to believe that the Desire Eye is a different device than the M8 but could be the same as the HTC Eye. Having such a large amount of smartphones to choose from, it can be difficult sorting through the new features and aspects that set them apart from each other. 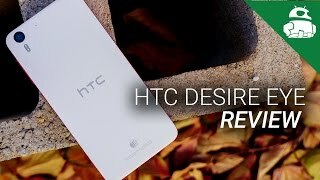 For the HTC Desire Eye, the most obvious standout feature is the impressive front and rear cameras but that isn’t the only thing that makes this phone so special. The internal specs are incredibly valuable and impressive and are insured to keep the phone running smoothly at all times. 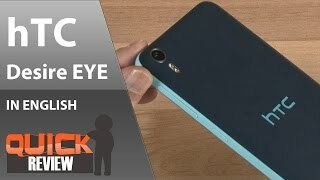 HTC Desire Eye - A Shot In The Right Direction? Price has decreased 49% from AED 1010 on 2016-03-19 to AED 519 today.